Sarah Fader leads our preschool Summer Creative Movement workshop. Students will get a taste of dance class structure and movements, with a generous helping of creative play, stories, and fun! In this workshop, kids have a chance to sharpen their ballet and contemporary technique, make their own dances and play dance games. Teachers are Sarah Slifer Swift and guest instructors. In this workshop, kids will focus on Contemporary dance technique, compositional skills, improvisation, and will create their own group and solo dances. Some dance experience recommended. 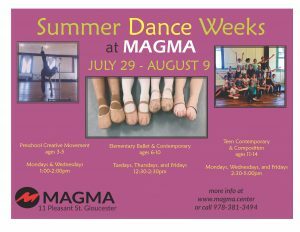 register for summer dance weeks! This class for children ages 3-5, is a playful introduction to the joys of dancing and storytelling through movement. Taught by Sarah Fader. This class explores American Social dance styles from 1920-present, and is based the program MAGMA Director Sarah Slifer Swift created for Gloucester Public Schools. With a focus on movement style, musicality, and improvisation, this class is a fun and creative way to explore the music and dances from past to present. This Afro-Brazilian art form combines elements of dance, martial arts, music, and acrobatics into a fluid game between two players. Training Capoeira develops stamina, strength, flexibility, and self-awareness. Classes led by the Boston-based group Mandingueiros dos Palmares, under Mestre Chuvisco. Ages 5-9 if adequate enrollment. 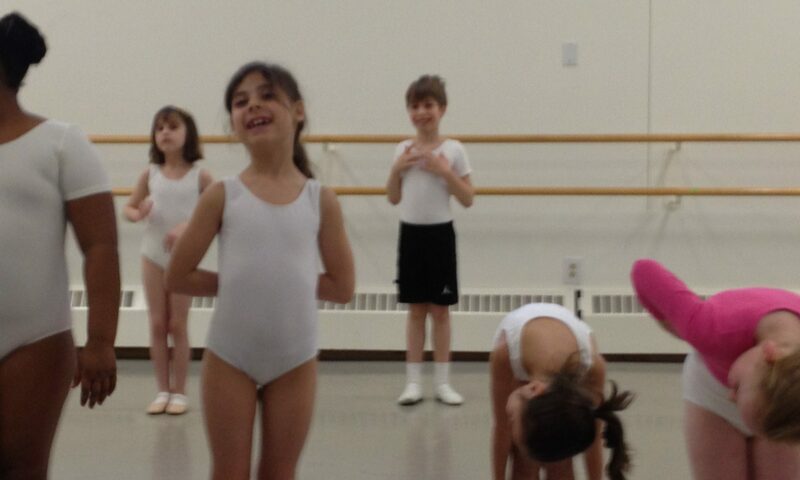 Ages 10+ are invited to join the Adult class at 2pm.